Puggy Bell was one of the most versatile players in professional basketball during his career that stretched over parts of three decades. Bell was a very strong player with a soft touch. He could rebound and play aggressively under the basket, but also had the speed and ball-handling skills to play outside when needed. Bell joined the New York Renaissance in the late 1930s. He appeared in the Chicago World Pro Tournament nine times and was named MVP in 1939, the year the Rens won the professional championship. 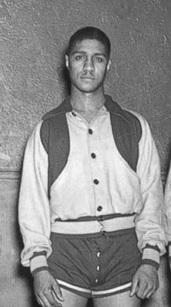 Bell spent the war years with the Washington Bears and was instrumental in their capture of the 1943 World Pro Tournament title. He returned to the Rens after the war and finished out his career in the early 1950s playing minor league basketball. He was player-coach of Manchester, the 1952-53 ABL champions.